The Richland Creek Run Five Miler was inaugurated in 2007 by the Sylvan Park Neighborhood Association in cooperation with other West Nashville neighborhoods and Montgomery Bell Academy as a community building effort and fundraiser for Greenways for Nashville. 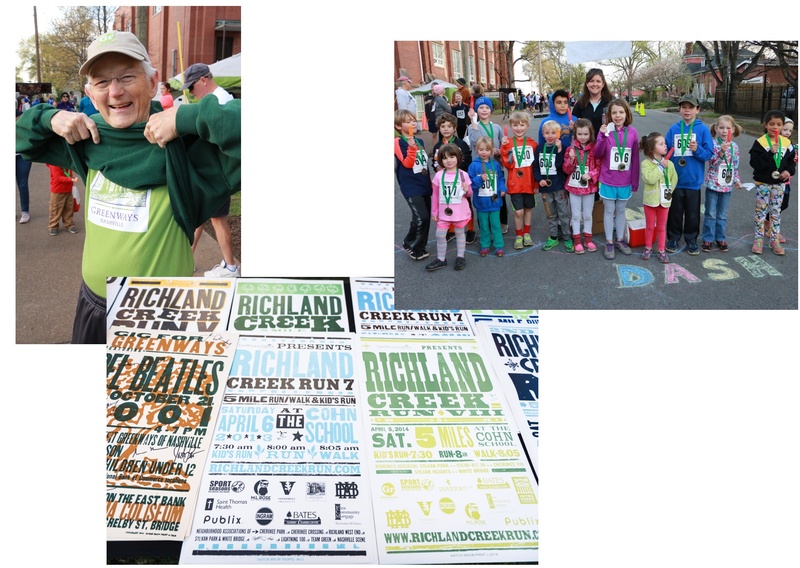 The neighborhoods and Montgomery Bell Academy have continued their organizational and material support for Richland Creek Run over the years, which became an official Greenways for Nashville fundraising event in its second year. The Dinky Dash kid’s race began in 2012 in part as a way to involve children too young to participate in the Five Miler, and in part as homage to the West Nashville “dinky,” a narrow gauge commuter railroad line that ran from downtown to the area now known as Sylvan Park. Area Council Member Kathleen Murphy has volunteered her time to the kid’s race as the all-in-one Dink Dash Master of Ceremonies & Race Official. For 11 years the race was promoted on authentic Hatch Show prints in the local businesses, schools, and community centers. The Wilson Group Real Estate Services has been the presenting sponsor of the event since 2010. Metro Parks Director and the Mayor of Nashville lend their hand to start the race off after a brief program focusing on the role and importance of Greenways in local neighborhoods.